At this time of the year, we want to spend as much time outside as possible. That, of course, depends on where in the world you are and if it’s warm and not rainy. But for all it’s worth, in this post we will take a look at some awesome ways to spend your time DIY crafting in your backyard. There are many things you can craft outside and make your backyard a more inviting place to spend time. From fire pits and barbecue stations, to outside furniture and decoration ideas – this list is very diverse and engaging. So pick your favorites and definitely try them at home. A table top fire bowl is a fun backyard lighting solution that you can make yourself. It looks interesting and gives your backyard that cozy warm feel of open fire as if from a fireplace. Check it out how to make fire bowls by following the tutorial. A fire pit is a must have in any backyard if you want to spend cozy evenings outside with your family. There’s nothing that compares to time spent around a fireplace in your very own backyard. So check out the tutorial to see how easy it is to build one. Having a hammock in your backyard is a great place to chill out, but the problem is that it requires a very specific space to be hung. If you don’t have two vertical beams available it can be impossible to install a hammock at all. Unless you build a special pergola for it as shown in this great tutorial. Mason jar crafts are good for many things. Creating backyard lighting is one of them. Hang some jars on your backyard fence for some mood lighting. The tutorial will show you how. 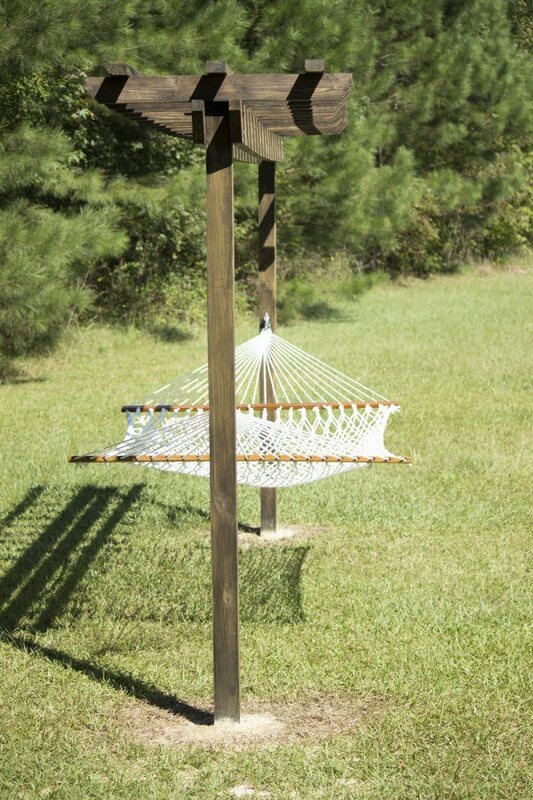 A hanging pallet bed is an advanced version of a hammock. If you like chilling out outside but you want a bit more stable surface than a hammock, a swinging bed is just an awesome alternative. Build it at home by following this tutorial. Window flower boxes are classic and you can never go wrong with installing them in your backyard. If you like the idea you can even build your own custom window boxes for it. Check out the DIY tutorial for instructions. If you need some extra seating space in your backyard you may want to build a DIY bench as a quick and affordable solution. And while there are many ways to build one, this tutorial shows us how to make an awesome modern style bench. More backyard or patio seating and lounging space brings to you this lovely pallet daybed. It’s very easy to build from simple pallets so you can take on this project even if you’re not an experienced crafter. Check out the tutorial for the instructions. Pick up some inexpensive mason jars to make beautiful lanterns for mood lighting in your backyard. It’s a small addition but they do look really lovely. See the tutorial for more details no how to make them. 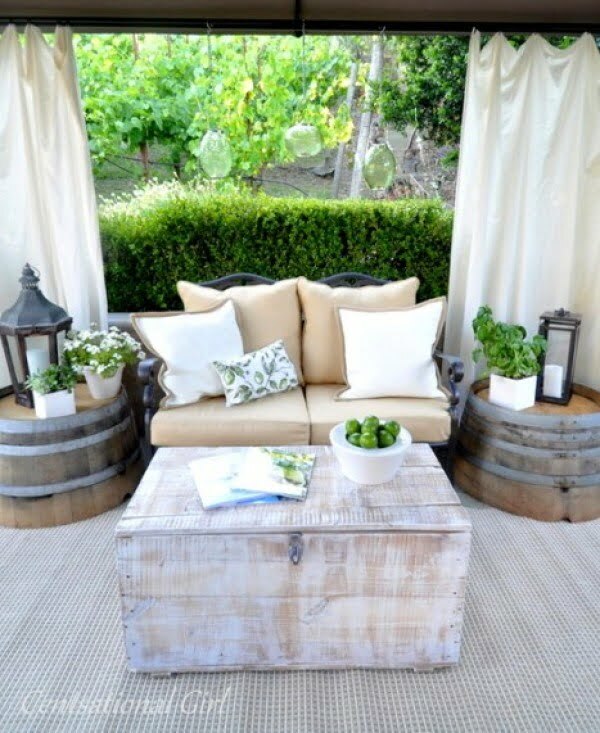 Wine barrels are just great makeshift tables for your backyard needs. If you want to make them lower, you can even cut them in half for side tables. It’s a lovely rustic style setup over all. Pallet wood projects are always fun and you can build almost anything from this material. This time let’s build a full outdoor bar with stools – all form pallets. It is easier than it sounds and the end result is really cool – you’ll love the bar for your barbecues. Check out the tutorial for plans and instructions. Since you’re going to do barbecues anyway, you will need a grill station like this. The best part about it is that it’s easy to build as well as disassemble. All it takes is a bunch of cinder blocks to complete. Check out the tutorial for all the details. Water features are always nice to have in a backyard and you can easily add some as well. 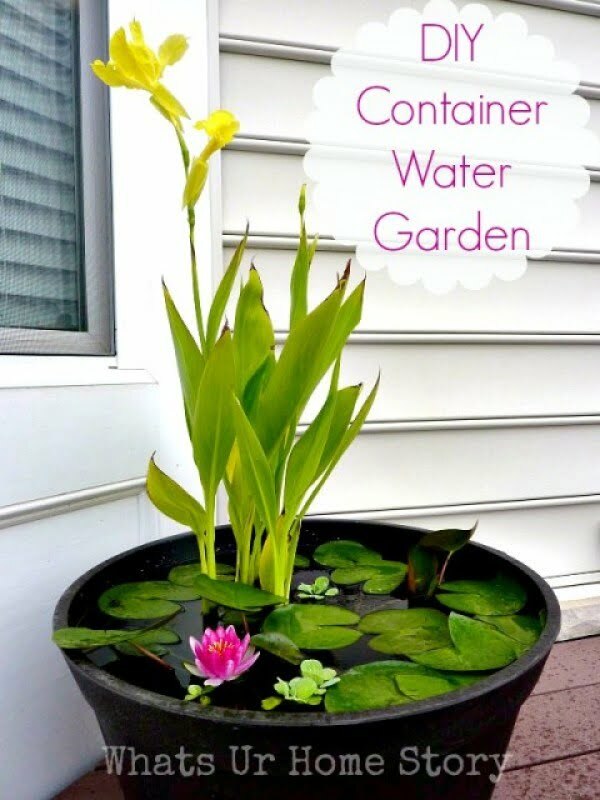 Container water gardens are easy to make and they can be amazing. Check out how to make one and let your creative juices flow. You probably know how to build a quick and easy outdoor bench from cinder blocks but take it a step further and add more decorative appeal. Cinder blocks also make nice planters for succulents, so why not combine the two ideas for a remarkable result? This backyard DIY project is one of the most original, clever and useful. 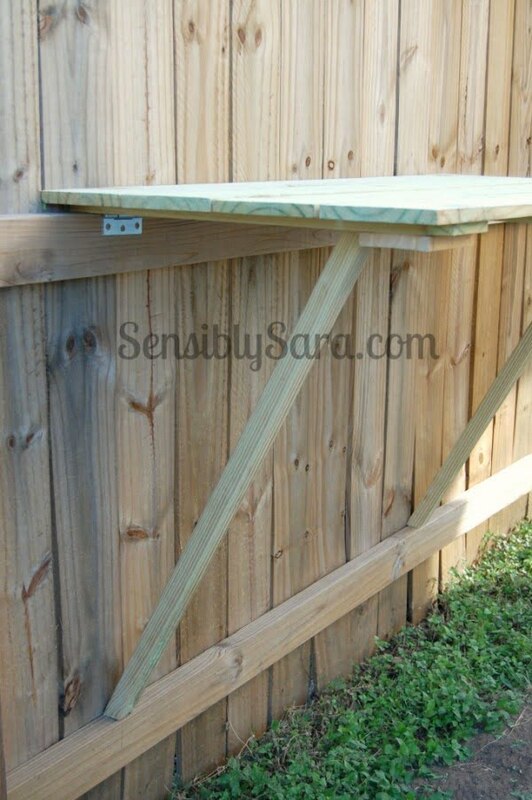 Build a fence table that can be used for just about anything you do outside and that can easily folds away when not used. Check out the tutorial for instructions of this project.